Siri is no doubt a complete package in itself. However when we get a chance to interact with it through an app, we only get to discover some of its features. But now, finally Maypalo has found something extremely amazing for its viewers which will enable the users to discover Siri to the fullest. So the question arises: What is it. 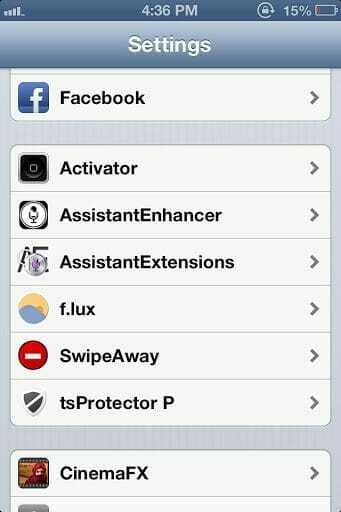 It’s the AssistantEnhancer, a cydia tweak that will help you to make the maximum out of the Siri. Just have a brief look through its features and we assure you that you will surely love this app. With the help of it, Siri will search Amazon, find local events, search the App Store, and play Pandora sounds and much more. I know you are getting excited so let’s began to discover the features of this superb tweak. The the most prominent feature of the app is that it acts as a music controller from Spotify, Grooveshark and Pandora. And, the best part is that from two of your favorite playlists, you can ask Siri to play a particular song for you and it will process your command and start the song. Whereas, Pandora enables you to make stations of your favorite artists while Grooveshark access allows you play one of that service’s plethora of songs. So this means that you can actually access three music hubs through your voice command. Is not it interesting… Listening songs on just voice demand..! 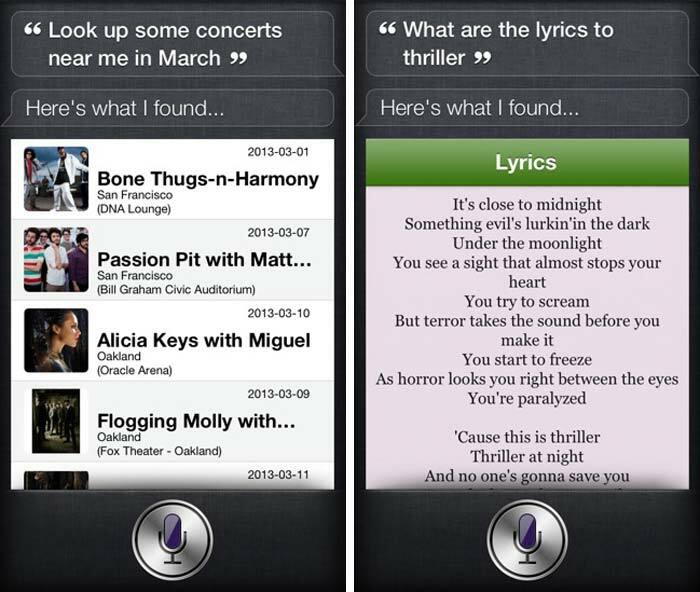 Another great feature of AssistantEnhancer is that you can query Siri about song lyrics. Just say something like, “What are the lyrics to Heartbeat?” and Siri will search for and show you the lyrics to the song. You can do this for just about any song you want to. You can even say “Show lyrics” while a song is playing to see the lyrics for the song that is currently playing. AssistantEnhancer brings some useful new querying features to Siri. For example, you can now open Siri and say something like, “Find concerts happening next weekend” and Siri will use your location to find music concerts that will be happening near you next weekend. You can mix it up a little bit, and also say something like, “Look up some concerts near me in March” and Siri will find concerts near you in the month of March. You can also asking about hiking trips or book readings. 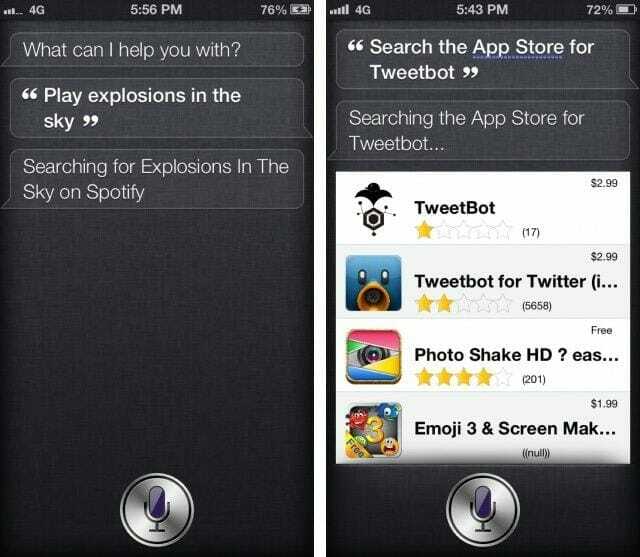 AssistantEnhancer will also allow you to query the App Store right from Siri. You can ask Siri to look up an application in the App Store by saying something like, “Search Angry Birds on the App Store” and Siri will bring up a list of related applications, with their ratings and prices, that you can tap on to open the App Store and look at in full detail. AssistantEnhancer also adds some less-detailed querying features, such as the ability to search for images and having Siri show you the image you ask for. You can also ask Siri for what something means via the Urban Dictionary definition, and search Ebay or Amazon for products that you’d like to buy. You will be able to say things like “Go to Google.com,” and Siri will open Mobile Safari and load up the Google Web site without asking you if you want to search the Web. You can visit a number of websites by just saying like that. 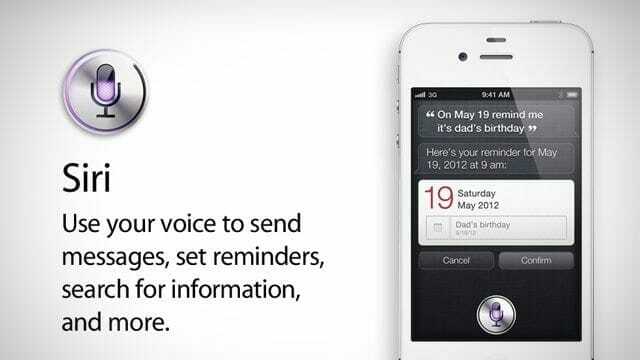 AssistantEnhancer will also enable the Siri to tell the battery life of your iPhone. You will be able to ask Siri how your battery life is looking by saying something like, “how much battery do I have left?” and Siri will tell you about how much battery life you have left. 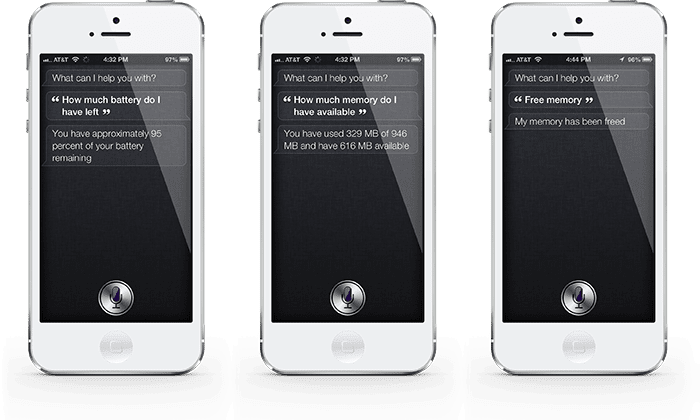 You can also manage your memory via Siri – you can ask Siri how much memory you have left by saying something like, “How much memory do I have available?” and Siri will tell you how much memory is being used, how much is free, and how much memory you have in total. If you’re interested, you can even say, “Free Memory” and Siri can free up some memory for you. In addition, you’ll be able to say something like “How much storage space do I have left?” to query the amount of storage you have left on your iOS device. It will also help you in searching your car in big parking areas. If you park in large parking lots often, and you forget where you park often, then AssistantEnhancer has you covered. You can tell Siri, “Remember where I parked” right before you leave your car, and Siri will remember. 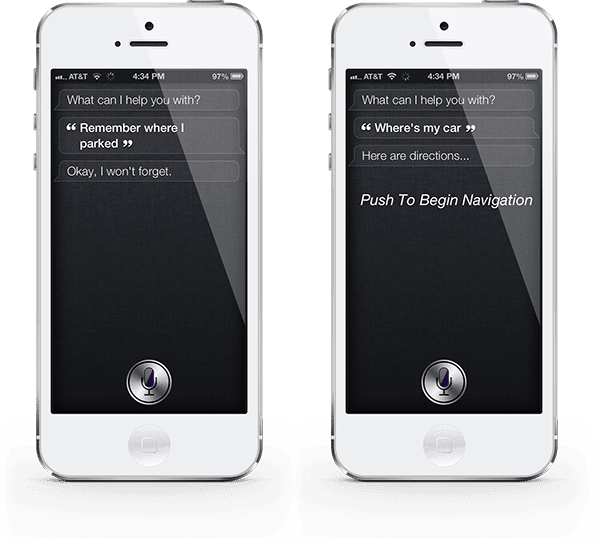 When you finish shopping, you can say, “Where’s my car?” and Siri will let you tap a link to get directions to your car. When you are getting such a lot of things from a single app then it is quite fair to have some faults in it. So this Cydia app has just a tiny flaw that when you give it a command it takes some time to process it, and the screen goes blank for a short time. This delay can be annoying for you but for so many features under a single tweak, you can ignore this delay.